Besides that, as discussed earlier, double clutching helps deliver an overall smoother ride if you have a bad gearbox, extending the vehicle’s transmission life, and is especially useful if you are into road racing. 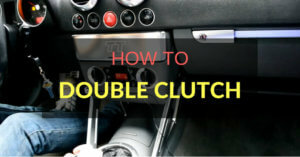 Besides, as an all-round gear head or a car enthusiast, it is important you thoroughly know your way around the clutch. So, let’s get down to it, the ancient art of double clutching! How Much Pressure Should You Apply On The Clutch? Double Clutching vs. Floating Gears - Which Is Better? 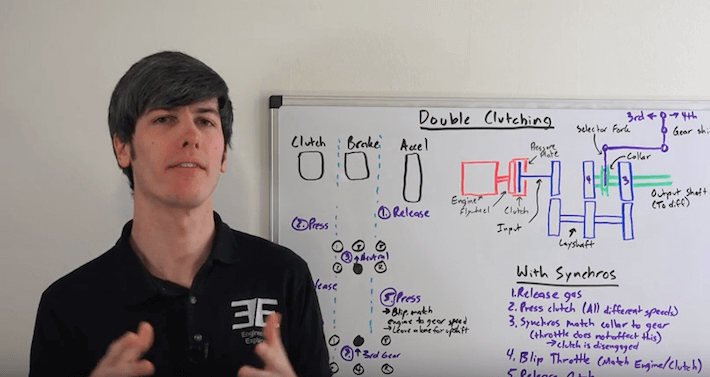 The key to understanding the art of double clutching is to realize you are altering the speed of your input gears, which are connected to the engine via the clutch, with the the output from the gears, which are connected to the rear axle. Let’s say if you are up-shifting from second to third gear, you will have to slow down your input gears using your engine. All you do is simply push the clutch in, bring the gearshift to neutral and then release the clutch. Because you are looking to slow down your gears, let go of the accelerator and allow the gears and engine to slow down. Push the clutch again (hence the term “double-clutching”), pull the gearstick to third, and release the clutch. If you do this right, your engine and gears will be spinning smoothly and at the correct speed for third gear while the shift will be noiseless and easy. Before we move on to the fun part, it is essential to know why you should learn this method of gear shifting in the first place. In modern vehicle transmissions, rings are present between the gears that assist in speeding up or slowing down of the adjacent gear, making the shifts smoother and drive easier. 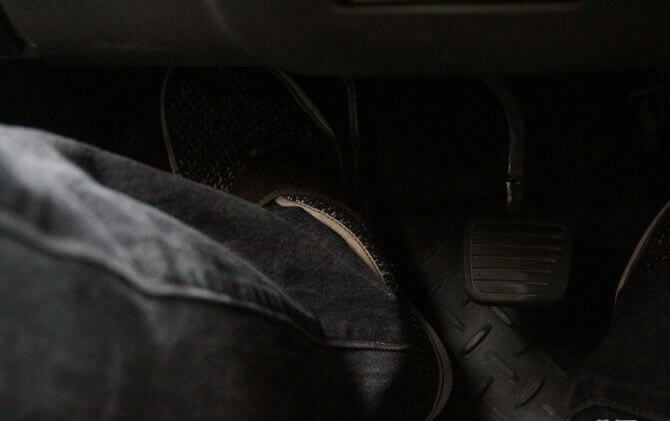 On the other hand, older transmission, usually found in classic cars, lack synchros, which makes double clutching necessary to help the next gear to speed up while the heel-toe throttle gets the engine revved up to match the speed of the transmission. Double clutching delivers a smooth shift, especially when skipping multiple gears. 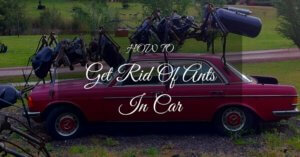 It comes in handy when you are turning your car around a bend and wish to avoid riding your brakes. In this case, you can simply downshift from the fourth gear to second gear, for instance. Another reason why you may want to use the double clutch is to prolong the lifespan of the synchros and transmission in your old car. For example, if you drag your gear from 2nd to 1st, it will take a little time for the 1st gear to synchronize properly to do its job, implying that the gears do not mesh well. Double clutch downshifting, if you do it properly, will ensure smooth switching between the gears instantly, helping you conserve the lifespan of the synchros. To start, you need to find sufficient empty space to be able to practice double clutching without causing any damage. Although double clutching is not seriously difficult, you still want to keep your risk to a minimum. While you lean on the brake pedal, hang your foot above the edge ready to blip the throttle (this usually comes at step 5). 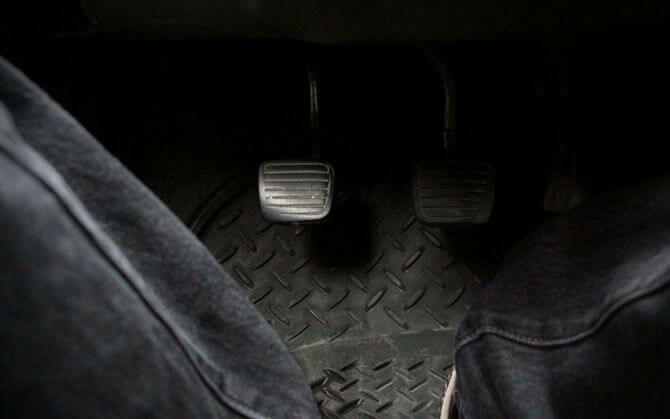 Disengage the clutch pedal in a shift like you usually would and then suspend the current gear. Now instead of pressing the clutch down via the shift, reengage it. This will help you get the next gear to speed up for a much smoother downshift. Let go of the clutch and select the next gear. Next, blip the throttle to get the engine to match the speed of the transmission and avoid any sudden jumps in the Revolutions per Minute (RPM) that may upset the car. If you wish to slow down the car further, repeat the procedure. If not, continue to drive knowing you have perfected this automobile skill. Double clutching is quite different from driving normally. 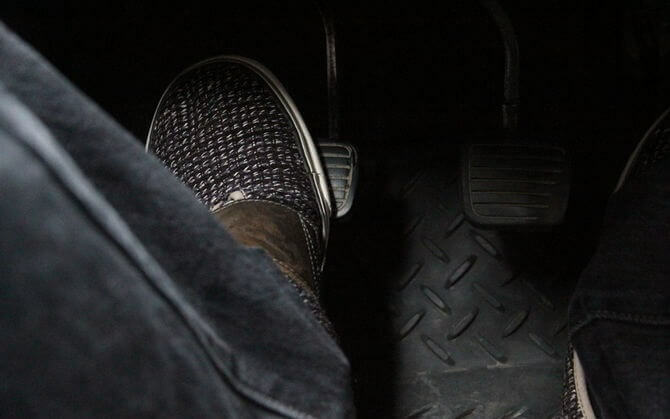 When you are driving, both feet should be working in harmony. You need to pay close attention to the revs, particularly when going uphill since you do not want your revs to plunge so low that when you release the clutch, the motor starts lugging. When you disengage the clutch, ensure your revs are high enough to prevent your rig from stalling. Double clutching is all a matter of harmonizing the movement of your feet and gearshift. If you detect resistance, it means you are not doing it right. The shifter needs to glide in and out just like a hot knife through butter, smooth and effortless, and that is when you know you are doing it right. Double clutching can at times be tricky since clutch springs vary from vehicle to vehicle. These springs engage and disengage the clutch, and if you don’t apply enough pressure, it simply will not work. On the flip side, if you press too hard on the clutch, you will employ the clutch’s brake, which you don’t want either. Simply ease the clutch in and out, without going to the extremes. With practice, you will find the ideal level of pressure you need to apply and you will also soon know about the likes and requirements of the clutch to operate smoothly. Applying the right amount of pressure to the clutch is a matter of feel and comes with experience. Once you are aware of how your rigs function, you will soon accomplish it. However, it is critical to remember that when clutching, neither too much nor too little pressure will work and you need to maintain balance between the two. Keep experimenting with different levels of pressure and see which works best for you in bringing the pedal all the way down to ¾. When releasing the clutch, remember to not dump it… just slowly let go. Avoid rapid leg movements as much as possible. Prior to the introduction of transmission synchronizers in the 1920s, the technique used to minimize damage to a vehicle’s gear system was known as double clutching. Because the technique was considered difficult and synchronized gearing systems were introduced, it is no longer used commonly. 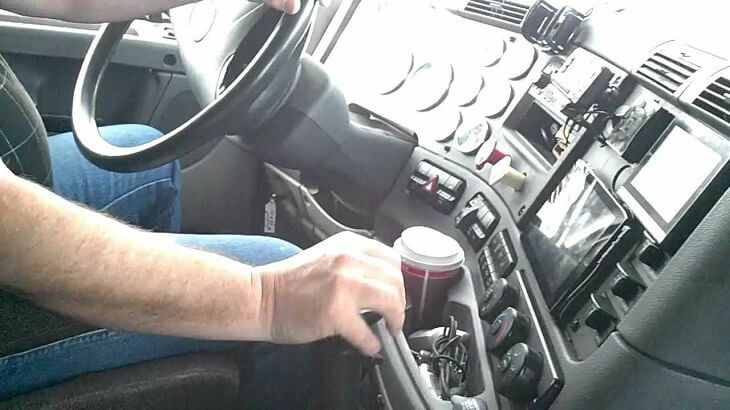 However, if you drive a big truck, you will still use the technique of double clutching to keep the transmission loaded while shifting, since large vehicles normally come with simpler, older, and more hard-wearing unsynchronized gearboxes. Floating gears is a technique of shifting gears without involving the clutch. It is performed by accelerating carefully and merely “floating” the shifter into gear once RPMs get to the desired level. It uses the clutch only when starting the vehicle and initially rolling it forward. Many modern trucks do not require you to use the gas pedal when starting the vehicle either. 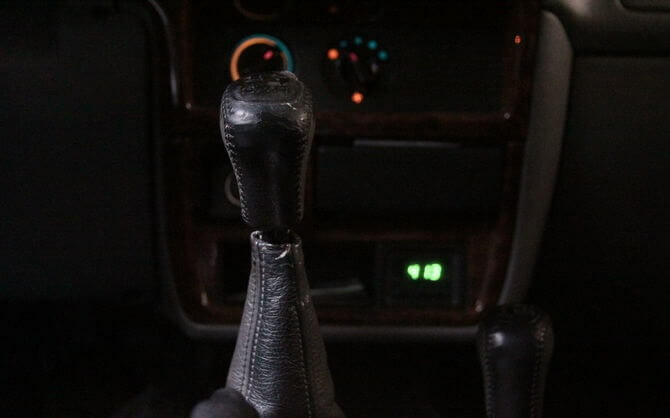 Heavier trucks have unsynchronized transmissions, enabling you to easily float gears. On the other hand, the technique of double clutching is used for shifting through your gears on the transmission. It involves engaging the clutch, bringing your shifter to neutral, disengaging the clutch, engaging the clutch again, and finally shifting to the desired gear. Double clutching is typically used to acquire speed when going uphill or descending downhill. It is a safer option which will prevent your gears from grinding as you make the shift. To answer the question, you should really be doing what is best for your truck. 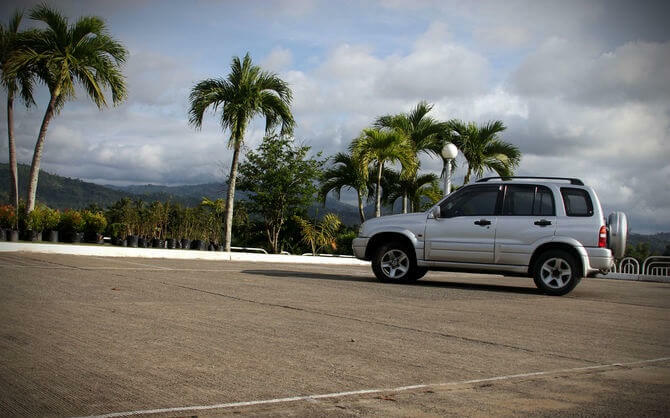 Since every vehicle has a different drive feel, it all depends on your personal preference at the end of the day.